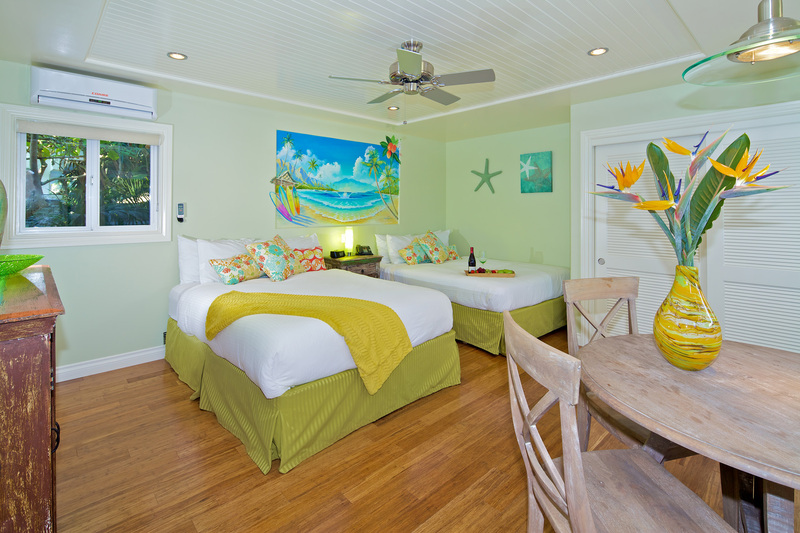 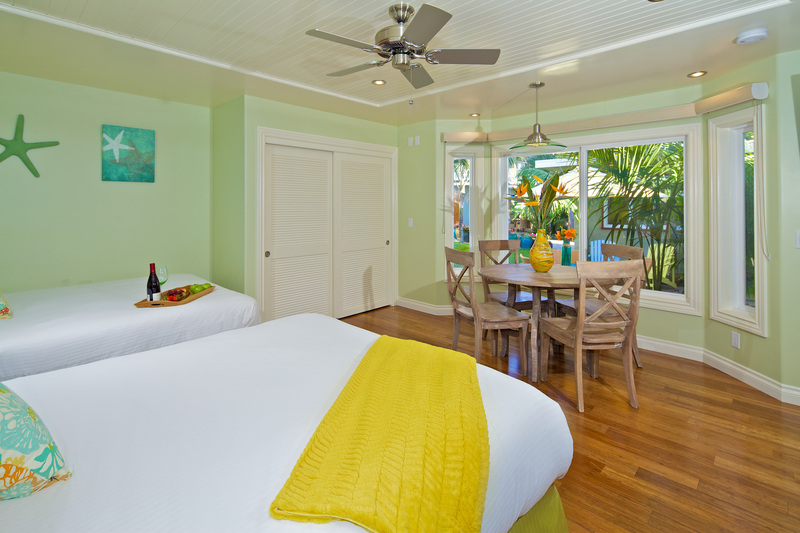 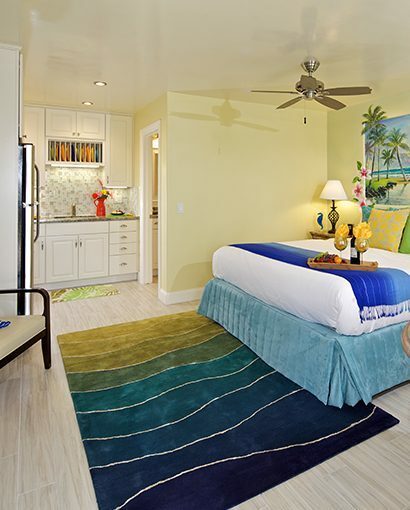 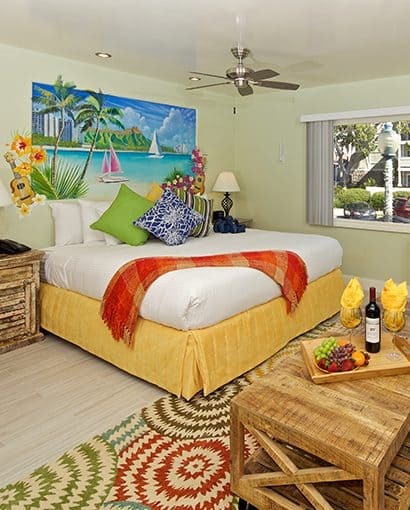 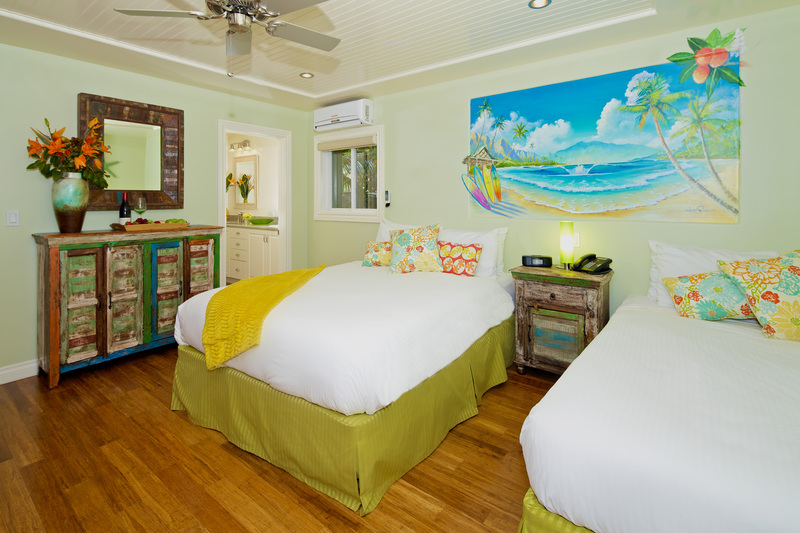  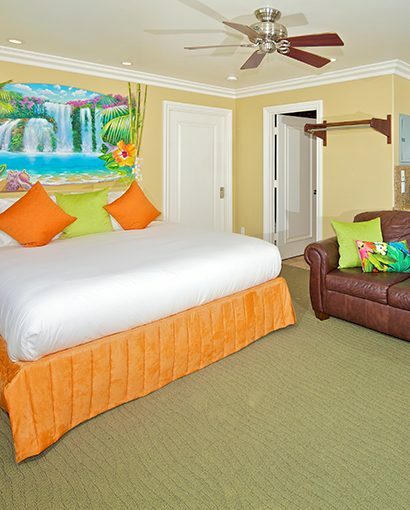 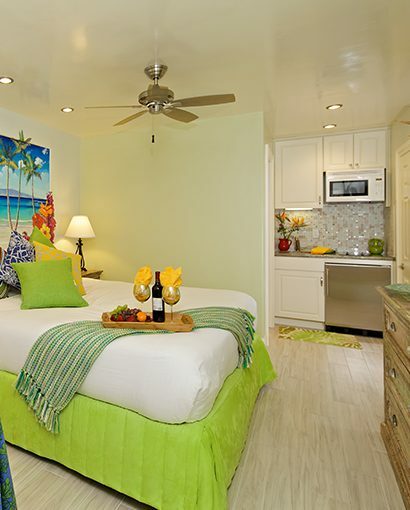 A comfortable double Queen suite, beautifully renovated with top quality furnishings, bamboo wood flooring, standup shower with separate tub and double vanity sink in the bathroom. 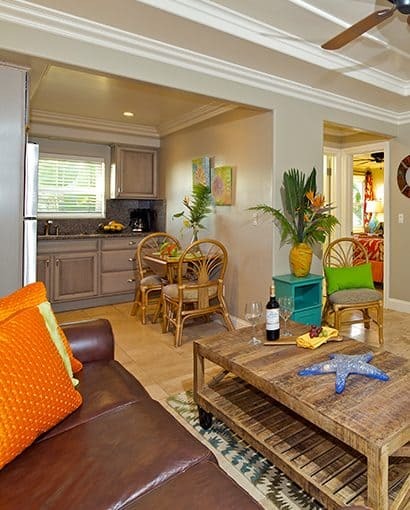 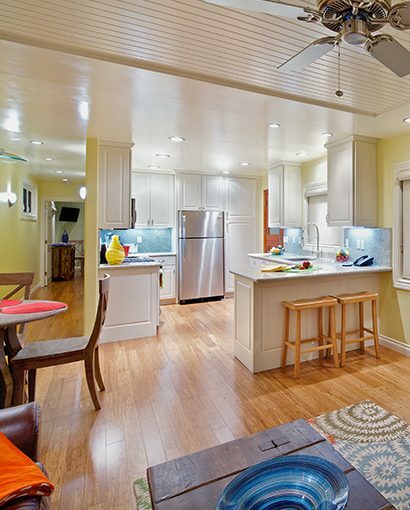 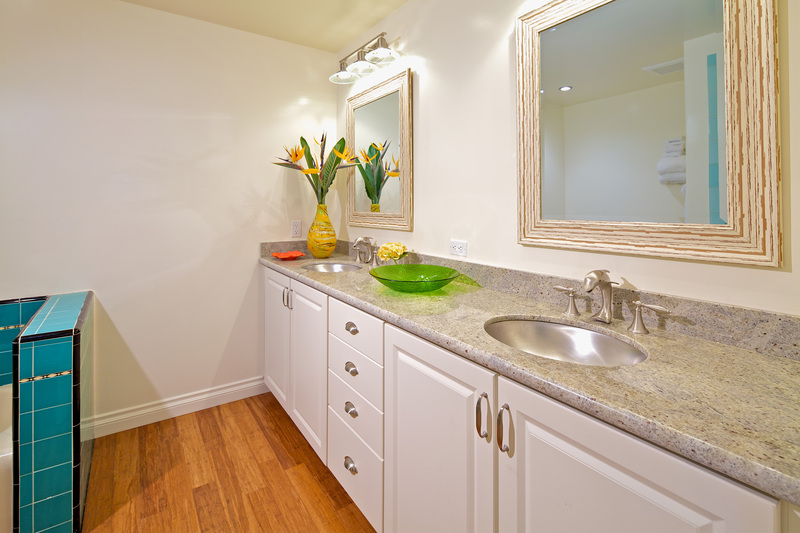 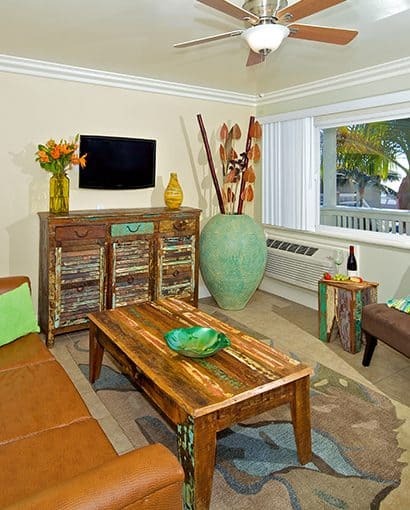 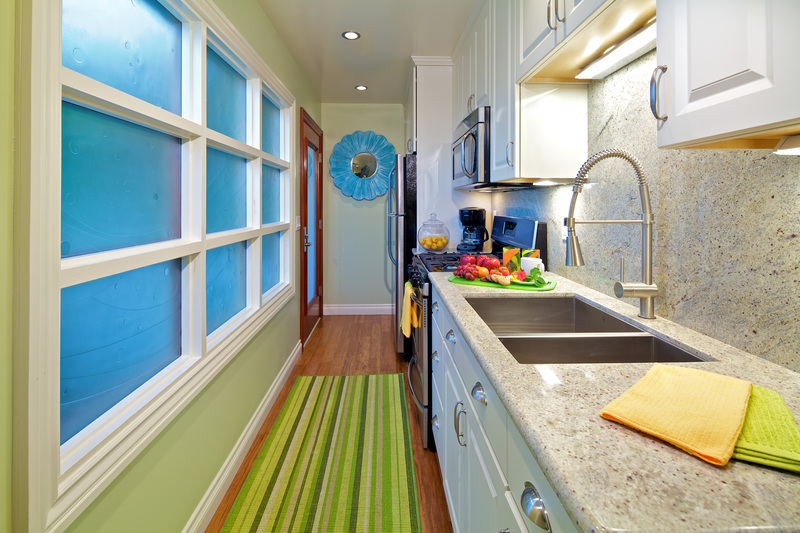 Featuring a galley style full kitchen with microwave, oven, stove, full-size refrigerator and freezer, 50” LED flat screen TV with Spectrum HD Cable, a 4-seating table, and free Wi-Fi. 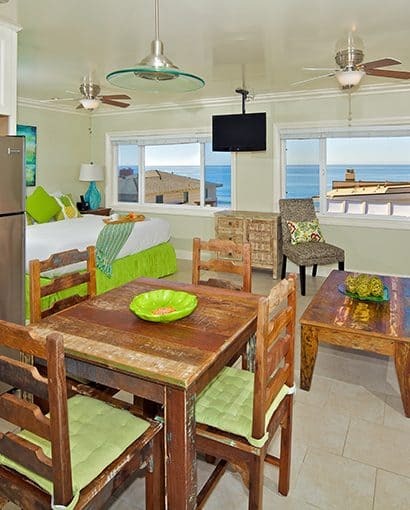 Enjoy garden and peek-a-boo ocean views.